A beautiful guesthouse, a fresh start and a hunky Italian. Does it sound too good to be true? But it’s not all picturesque mountains, pizza and prosecco. The crumbling guesthouse that Fabio has inherited from his family needs some serious TLC. Is she up to the challenge? As Gina and Fabio work in close quarters, sparks start to fly. But Fabio has a secret he is scared to share, and Gina has her past to come to terms with. Does her heart belong back home or is a life in the sun – with a very handsome Italian – just the change of scenery she needs? Escape to the gorgeous mountains and glittering Lake Como in Northern Italy! 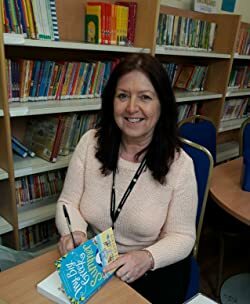 This laugh-out-loud funny and feel-good story of starting over and living life to the max is perfect for fans of Kat French, Jenny Oliver and Carole Matthews. 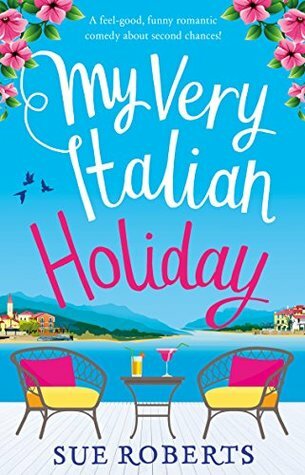 My Very Italian Holiday by Sue Roberts is a contemporary romance that does have a touch of comedy to it although I wouldn’t completely label it a rom/com. This title too is another that seems the book blurb doesn’t really match the advance reading copy that I read as the story doesn’t get near Italy at all until well past halfway. The book actually begins with Gina running her own bed and breakfast in England that still sounded like a lovely area to be but it certainly wasn’t Italy yet. Gina had lost her husband a couple of years before and with the help of her sister she had managed to keep her B&B running and quite the success. As the book goes on Gina does eventually meet Fabio and of course everyone is pushing Gina that it’s time she think about romance again. Gina and Fabio do hit it off and Fabio is in the middle of making plans for his own hotel and asks Gina for advice and if she’s willing to help. After that long beginning eventually the story makes it to Italy. Now, I know my rating is a little low on this one but there were a couple of specific reasons why. The story got off to a wonderful start with a nice setting despite it not being Italy quite yet but while I did find myself laughing quite often a few of the jokes that came to me were just kind of mean spirited… for instance Gina’s sister complaining about karaoke singers, that kind of brought it down a bit for me. But also, for some reason Fabio seemed a bit older and not quite what I would have expected too for some reason. Plus the idea of Gina leaving her own successful business also wasn’t that appealing to root for after spending so much time getting to know it. But I’m sure that while this one wasn’t a total favorite of mine a lot will love the story. Thank you for taking the time to read ‘My big Greek summer’. I hope you enjoyed it! I am from Liverpool, England the setting for part of the story in the book. I enjoy travelling and this novel was inspired by a visit to a small village in Rhodes. In my spare time I enjoy watching movies, reading and spending time with my family. My second novel is set in the Lake District Uk and Lake Como in Italy. This should be available in August. Wonderful review, Carrie! I loved her Greek Holiday but held off on this one because my TBR is overwhelming me at the moment. I’m honestly happy it wasn’t a five star read for you because I’m already tempted enough by it! ♥️ That type of humor would bug me, too. Nice review Carrie. As it contains some mean spirited humor, I think I’ll be skipping it. Thanks, normally I’m not one to complain on something like that but it just rubbed me the wrong way.